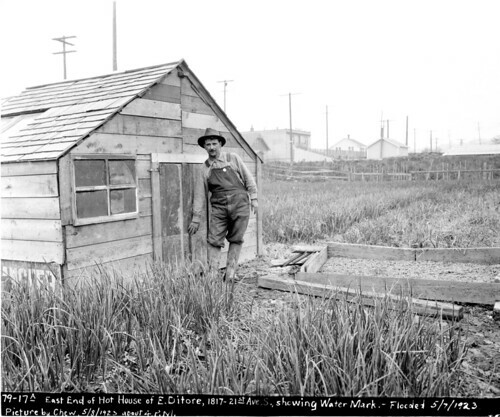 East end of Antonio Ditore's hothouse, 1817 21st Avenue South, showing the high water mark after a flood in May, 1923. Courtesy of Seattle Municipal Archives. 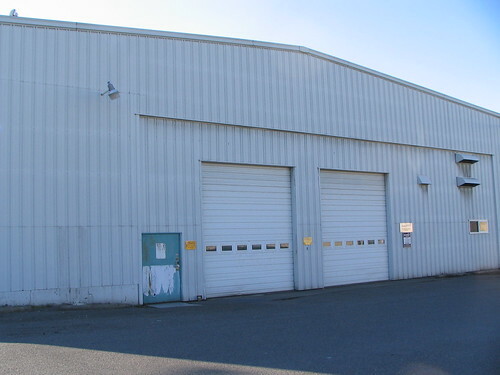 The same site today, no longer growing much. At first glance this is one of the less-recognizable past/present photos we have. 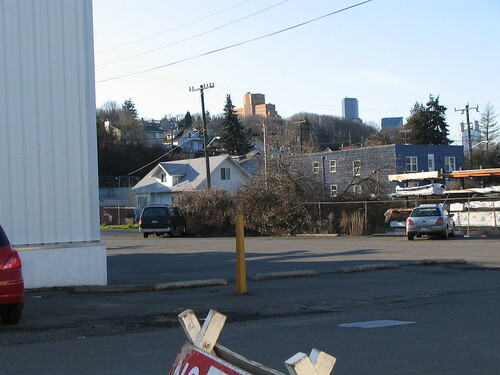 In 1923, there was a considerable amount of farming in this lower Beacon Hill/upper Rainier Valley area, an Italian neighborhood, but now this spot just off Rainier Avenue, in the 1800 block of 21st Avenue South, is just a big ugly warehouse. Angetina Isernio, a long time Beacon Hill resident and mother of Frank Isernio of Isernio’s Sausage fame, passed away on February 15 at the age of 102 years old. She was born in San Marco la Catola, Italy, in 1906. Her family later settled on Beacon Hill, where she met and married Frank Isernio Sr., who was born here in Seattle and, along with his brothers, farmed land in what is now part of Boeing Field, and sold produce at Pike Place Market. She raised rabbits and chickens in the backyard of their Beacon Hill family home (where she lived for 70 years of her life) while Frank Sr. raised vegetables. Together, they raised two children, Gloria and Frank. A funeral mass and life celebration will be held at Saint George Catholic Church, 5306 13th Avenue South, this Saturday, February 21, 10:00 am. There is an online guestbook/memory book to post your memories of Angetina Isernio.